It turns out that the PC version of Deus Ex: Human Revolution is actually being developed by Netherlands-based studio Nixxes in "partnership" with Eidos Montreal. You'd be forgiven for thinking that all versions of the upcoming Deus Ex: Human Revolution are being created at Eidos Montreal. That's the name on the box, after all, and everything we've heard about the game thus far has come from that direction. Yet that's not exactly, entirely the case. Shacknews asked Human Revolution Director Jean-FranÃ§ois Dugas in a recent interview if the PC version of the game was developed in-house at Eidos Montreal and received a rather surprising answer. "No," Dugas said. "Well, it was done in-house, but with a partnership." 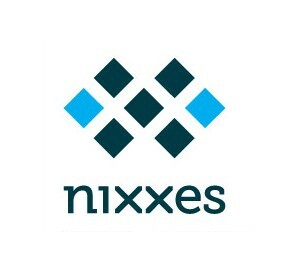 That partnership is with Nixxes Software BV, a Netherlands-based studio whose past credits include the PC versions of Kane & Lynch 2: Dog Days, Lara Croft and the Guardian of Light, Lara Croft Tomb Raider: Anniversary, Tomb Raider: Underworld and Legacy of Kain: Soul Reaver 2. The studio apparently has a long relationship with Eidos, going all the way back to the 2000 Dreamcast release of Legacy of Kain: Soul Reaver, but until now the only indication that it was working on Human Revolution has come through LinkedIn profiles of a few Nixxes employees. Dugas said the PC version is being handled by an external studio because Eidos Montreal simply doesn't have the manpower to handle development on three platforms at once. Still, he insisted that all important decisions are being made in Montreal. "All the design and changes to the design has been done in Montreal and sent to them," he explained. "We review the builds. We review and then give comments about what works and what doesn't. It's the same process. It's the exact same process, except that the programmers aren't in the same office. It's the same game and the same creative team taking care of it." The PC version of the game will be a little different than the console versions, particularly in the interface, but Dugas said it won't feel like like a port of a console game. "I can tell the PC fans that, actually in the office when I'm playing the game I don't play on Xbox 360 or PS3, I play on the PC," he said. "It's shaping out to be very good. It's on the same level as the other platforms." Eidos will talk about the PC-specific changes "eventually," he added. It's not necessarily bad news, especially if Eidos Montreal is keeping a close eye on things, but I do find it interesting that just last week, Volition announced that it was bringing the development of future PC releases back in-house because it was tired of putting up with shoddy ports. Deus Ex: Human Revolution is scheduled to come out on August 23 for the PC, PlayStation 3 and Xbox 360.